Boris Karloff knows all and sees all. Let’s drink to that! Gentle Reader, we do not normally advocate drinking games while watching classic movies. Today, however, we are making an exception. If you’re someone who doesn’t imbibe spirits, do not fear! You may still join us with the soft drink of your choice. At the conclusion of the movie, the effect will be the same. To which movie are we drinking? It’s the 1940 war thriller British Intelligence, starring Boris Karloff and Margaret Lindsay. This is a film about British and German agents who spy on the opposing government, and on each other. These are very busy spies; they do not eat, shop, play, read, visit or do anything regular people do. They spy. Period. Before we get into the rules of the Drinking Game, here is the basic plot of the film: A female German spy (Lindsay) is sent to England to spy on a family that has Information Useful To The German Government. This family employs a limping French valet (Karloff) who says his wounds are the result of the Germans – blast them! It’s not long before Karloff and Lindsay discover they are both spies, but for whom are they really spying? The film has a great cast. Karloff, best known for his portrayal of Frankenstein, is credible as a man you’re never quite sure of. Plus, he has a really creepy way of looking at you sideways, so that you fear what’s going to happen next. Lindsay, who bears a passing resemblance to Barbara Stanwyck in this film, is such a good sport. She marches through the awful script with the determination to make this a better movie than it has a right to be. But it’s still a dreadful movie. Which is why it’s necessary to employ the Boris Karloff Drinking Game. Are you ready? Each time an agent changes his/her story about which government he or she is spying for. Each time a new spy is revealed. Each time a member of the English family suddenly appears on screen, only to be written out again. Every dire prediction of a “strong man” rising to power in Germany at some point in the future. Every time you suspect a piece in Lindsay’s wardrobe was stolen from another movie set. This constitutes a lot of drinking during the 62 minutes it takes to get through the film. You’d better make sure you’re sitting down – even if you’re just consuming soft drinks. Do we recommend viewing this movie without the aid of alcohol or caffeine? We do not. If you’ve already seen British Intelligence and have more recommendations for the Boris Karloff Drinking Game, please let us know. This movie provides a vast wealth of liquid opportunity. British Ingelligence: Starring Boris Karloff, Margaret Lindsay, Bruce Lester. Directed by Terry Morse. Written by Lee Katz. Warner Bros. Pictures Inc., B&W, 1940, 62 mins. I haven’t seen this film and just cant imagine why, or maybe I can. I do like your game and might have to hunt this movie down just to play. Although it sounds like I might have to spend more on the drinks than I on film itself. Oh yes, you’re right – I hadn’t figured in the cost of the drinks when doing this post. This could end up being a very expensive movie. Hahaha! I love the game, that’s hilarious! And a fun way to endure a not so great movie. Still, I enjoyed your review very much! The drinking game is the only way through this movie, I kid you not. I am almost willing to re-watch this very bad movie just as an excuse to get sloshed. R.A., your post is a positive scream. I almost got in trouble for giggling at my desk. I must find this movie! Since “British Intelligence” is one of the worst films in Karloff canon, perhaps extensive drinking is the only way to get through it. A most entertaining post. Poor Boris! Such a great actor and such a lousy film. Maybe everyone on the set drank extensively, too. I was at first disappointed with myself for having missed this film. Now I see it a sign of my ability to pick only fine films to watch. Yeah, right. Your drinking game is a hoot. Love the “how-very-convenient plot device.” Drinking on every one of those in all too many movies will have you drunk by the 2nd reel. Yes, follow those finely-honed film instincts. I’m serious! There is a reason why the film world pretends this movie doesn’t exist. I will play this very clever game… with sweet tea rather than alcohol. Not quite the same effect as booze or caffeine, but a sugar rush has to count for something, right? Lindsay, all that sweet tea in such a short amount of time will wreak havoc on your nervous system. I’m a little afraid for you. Ruth, I’m a teetotaler, but the Boris Karloff Drinking Game sounds hilarious! No more for me, thanks, I’m driving! Thanks for the warning and your clever way to make lemons into (hard? :-)) lemonade! Ha ha! Thanks for visiting, Dorian! I’m not much of a drinker, either. Can only handle 1/2 glass of wine at a time. My husband says I get tipsy just smelling the cork! Really liked what you had to say in your post, The Boris Karloff Drinking Game Silver Screenings, thanks for the good read! It’s guaranteed to quench your thirst. I lawled. 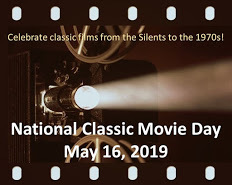 totally called for, on some movies. i bet writing a review right after would make for fun reading too! Ha ha! I think you’re right! Now that is a neglected masterpiece. I’ve never seen it, but thank you for reminding me that I need to look for it. 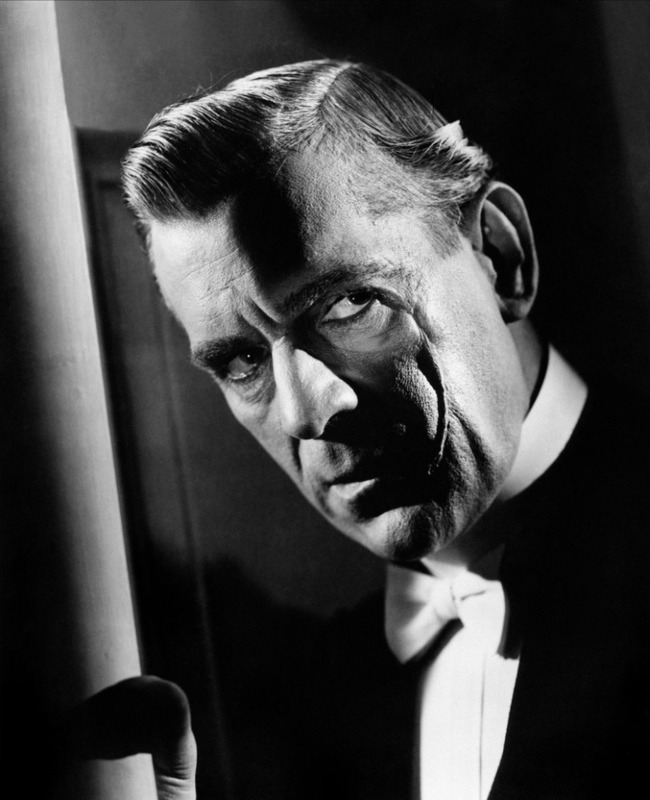 Karloff is always worth the price of admission.